Main fabric content: Polyester / Material Composition: Polyester. Color : White. Give us a chance to make things right for you, and we will do our best to give you the best possible solution. • Do not know how to use the part. 2 Tier White Elbow Length 30" Pencil Hemmed Edge . Elegant & Beautiful White Wedding Veil with Lace trim. Fingertip Length. Rhinestone Accents. 2 Tier Ivory Elbow Length 30" Hand Sewn Beading . Elegant & Beautiful Ivory Bridal Wedding Veil. Comb attached. Elbow Length. Elegant & Beautiful White Bridal Wedding Veil. Comb attached. Elbow Length. CIRCUMFERENCE OF HEADPIECE IS ABOUT 18". 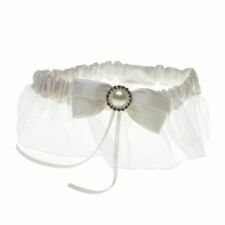 PERFECT FOR FIRST COMMUNION. 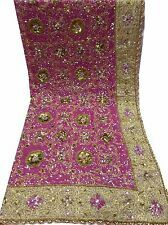 BEAUTIFUL GIRLS VEIL. LOVELY WHITE FLOWER ACCENTS WITH BEADS. 2 Tier White Fingertip Length 36" Hand Sewn Beading . Classic triangle mantilla, or chapel veil. Light, lovely, and soft. Up for your consideration is this Elegant Sheer 37" Fingertip Veil with crystal rhinestone and applique lace. My White Veils are very White no mistake on that. The Light Ivory Veils are Very light Ivory. Double layer fabric, more durable. Color: Black. We strive for 5-star service by providing high-quality goods and perfect service. This is a wedding veil with comb, custom length, lightly worn/used! It’s 37 inches from top to bottom and 36 inches across at the widest point. 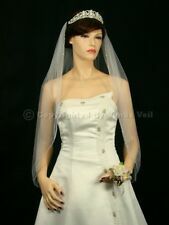 New Girls White Comb with Veil Headpiece. Girls White Comb with Veil Headpiece. 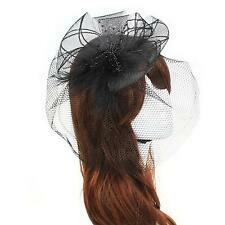 This lovely Comb Veil headpiece is perfect for Flower Girls, First Communions and other special occasions. This would be perfect for your little girl. This is a beautiful White Infinity veil in size small. It is made with eyelash lace, has an invisible seam, sewn in clip and includes a veil bag. I have been creating custom First Communion Veils for over 35 years. I use only the finest quality materials. Flower Girl Veil attached to comb, New shorter length approx. Smaller Double Tier Veil. This would be perfect for your little girl. They are light weight, very soft and fall well. The lace is a floral print and the edges are scalloped. Beautiful Elegant Pearl Beaded White Wedding Veil! One-tier Cut Edge Fingertip Ivory Bridal Veils. Comb With Veil,ready to wear comb has a one missing tooth:) Condition is Pre-owned like New come from a smoke free home Shipped with USPS First Class Package. David's Bridal One Tier Pearl Beaded Edge Mid Length Veil - Color ivory. This is a one tier, elbow-length veil with pearl edge beading. Bought veil without knowing of one tiny hole, but it is not noticeable. Elegant & Beautiful Ivory Bridal Wedding Veil. 2 Tier with Pearl Accents. Elbow Length. 1 Tier Ivory Fingertip Length 36" Pencil Hemmed Edge . 1 Tier Ivory Shoulder Length 25" Pencil Edge . A bridal veil is a beautiful complement to your wedding gown, and it enhances the feeling of romance on the day that you get married. 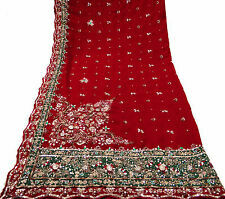 The type of veil that you choose will depend on your wedding dress style and your personal taste. 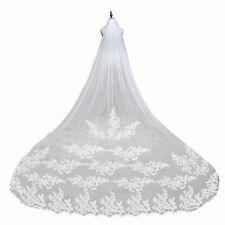 With so many affordable veils available on eBay, you are sure to find the new or vintage wedding veil of your dreams. What lengths do wedding veils come in? Elbow-length: The elbow-length style works well with most styles of bridal dresses. 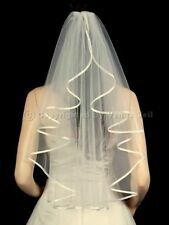 It is an appropriate wedding veil for both informal and formal ceremonies. Fingertip-length: The fingertip wedding veil length measures approximately 36 inches long. This type is more formal than the elbow-length style, yet it still allows you to see the detailing on the train of the wedding dress. Knee-length: This bridal veil style falls between the backs of the knees and the calves. It looks wonderful when worn with dresses that don't include trains. Floor-length: This stunning bridal veil style is approximately 72 inches long and should just brush the floor when you're standing. It works especially well with sheath dresses or ball gown-style wedding dresses. Chapel- and cathedral-lengths: These breathtaking veils extend all the way to the floor. The chapel bridal veil should fall at least 6 inches past the hem of the dress and the cathedral bridal veil is up to 144 inches long. What styles do wedding veils come in? 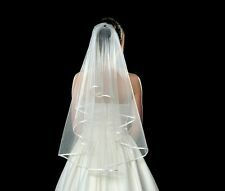 Flyaway: The flyaway bridal veil reaches the shoulder and provides volume. It's a beautiful complement to short dresses. Juliet cap: This bridal look is molded to the back of the head before falling down the back. This romantic vintage wedding veil is made of tulle and may have a ribbon edge. Mantilla: The mantilla wedding veil is round with a cut edge and often has a lace or beaded edge with shimmering crystals. Two-tier: This type of veil combines a shorter bridal veil with a longer one. Birdcage: This bridal veil covers of the face. These wedding veils are typically made out of wide netting and can be worn with any style of dress. How do wedding veils stay on? Many wedding veils stay in place with built-in combs or headbands that are secured in your hair. If you're having your hair professionally styled, they'll know how to make sure your veil stays in place. If you have fine hair, you might consider a headband-style veil. If your veil uses a comb to stay in place, you can help it stay secured with some back-combing, hairspray, and bobby pins.